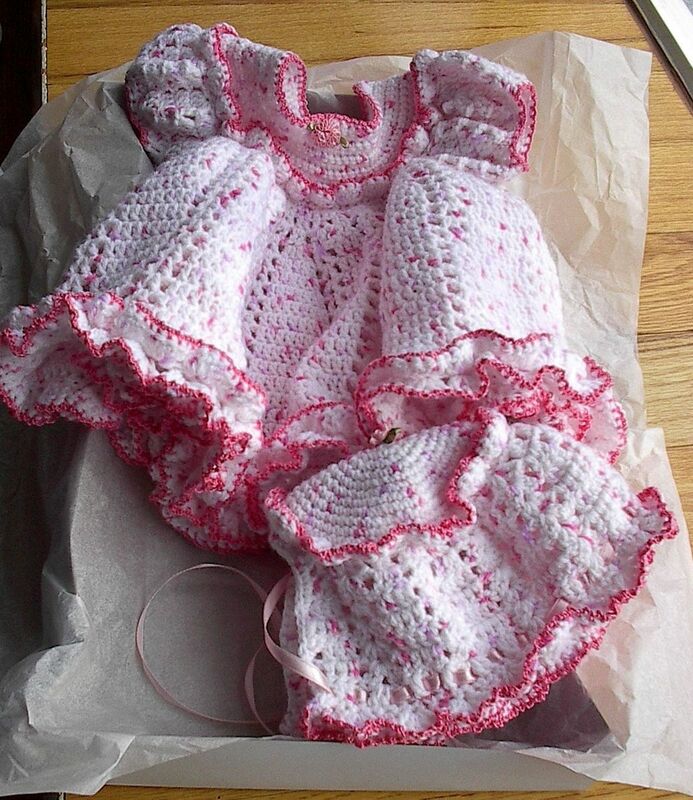 Baby dresses crocheted in soft baby yarn include bonnets and booties, if desired. Ruffles, ribbons and flowers add to the dainty beauty. 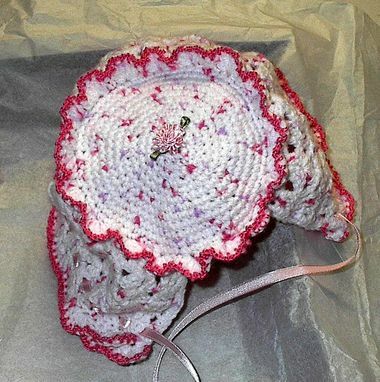 The white and pink is a varigated yarn and has lots of ruffles. Dress sizes are infant through 18 months.